Scientists develop new cancer test using drops of saliva which can detect the lethal disease in record time. 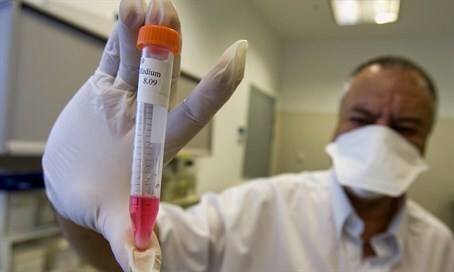 Up until now, doctors have only been able to use blood tests to detect cancer as long as the patient has already undergone a painful biopsy and sequenced a tumor. However, scientists have now developed a test which can detect cancer in ten minutes using just a drop of saliva. To be priced at £15 ($21), the “liquid biopsy” can be taken at home and is hailed as completely revolutionizing the way the disease is diagnosed. “Early detection is crucial. Any time you gain in finding out that someone has a life-threatening cancer, the sooner the better. The advantage of our technology is that it is non-invasive. If you have a credible early screening risk assessment technology that people can use on their own or at dentists’ office or pharmacists - that’s the key, early detection,” said Wong. Trials on lung cancer patients found it had “near perfect” accuracy. Although the test can be used to monitor cancer's spread, it cannot be used for an initial test. Wong plans to further trial the test in China later this year and hopes it could be available in the UK by 2020.